Downloads and documentation can be found on sosicon.espenandersen.no. The program is written in C++, source code is available on GitHub. 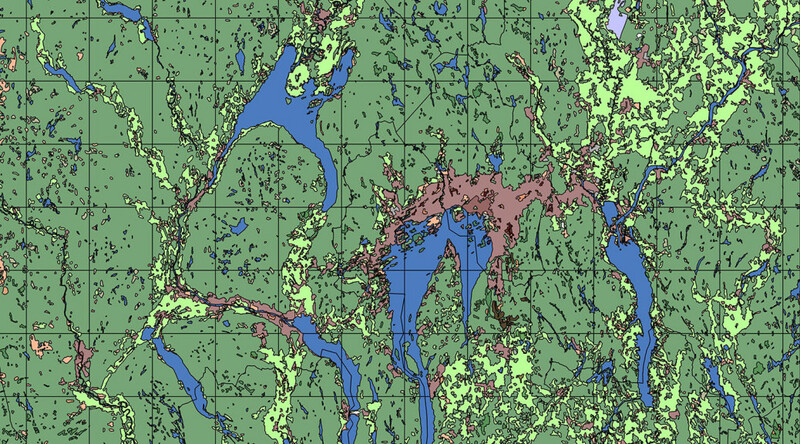 Not long ago, the Norwegian Mapping Authority released Norwegian map data. Now, the Norwegian Polar Institute even released their maps over Arctic and Antarctic areas. However, some of these data files are in an unfamiliar format for most people. The SOSI file format is used only by Norwegian government bodies. SOSI is an acronym for «Samordnet Opplegg for Stedfestet Informasjon» which translates into someting like «Coordinated Approach for Geospatial Information». SOSI is just plain text. Syntactically the format resembles YAML, which is simple enough. However, semantically it’s another story! The file specification is very extensive. There are several variations of the same data types, and some field names may vary with different SOSI versions. SOSI is built for carrying any type of information — not just coordinates and venue descriptions — which is good and bad at the same time. Obviously, it’s good because of its versatility. It’s bad becaus writing a generic parser is hard. My parser, Sosicon, is not generic. It recognizes a subset of SOSI elements and converts them to shapefile elments if applicable. Text attribute data are converted to properties for their respective shapefile geometry. The program runs on OS X, Linux and Windows. Veldig bra, tester dette nå på Linux Mint 17.1 Mate! Er du på Twitter eller Facebook? Jeg er @Ellevatory på Twitter.